Over the last few years, the way we all use USB drives has been drastically changed. With the increased capacity of flash drives, their application has also been improved. Nevertheless, there are times when people suffer from an unexpected loss of data from flash drives. 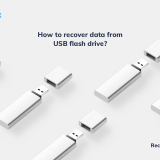 If you have also suffered from the same fate, then you need to use a data recovery tool to recover files from the USB drive. 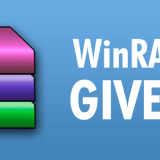 In this guide, we will explore the working of the most promising data recovery tool in detail. 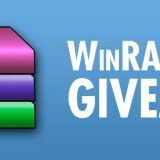 While there are numerous data recovery tools out there, Wondershare Recoverit is known for its exceptional results and a user-friendly interface. By following a simple stepwise procedure, anyone can now recover the lost or deleted content from their USB drive. Even if you are facing issues like USB not recognized or drive formatted, the software will help you get back your lost data. 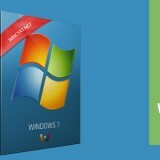 It is known for a 96% data recovery rate in Windows, which is one of the highest in the industry. 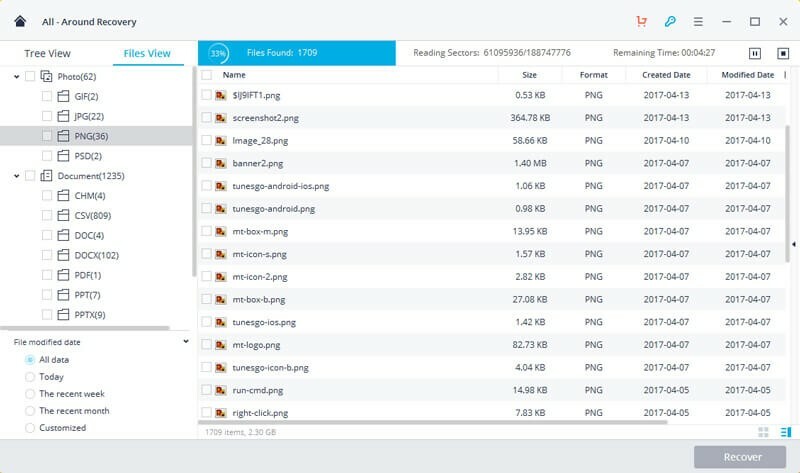 Recoverit Data Recovery supports more than 1000 different types of file formats of every major data type like photos, videos, audios, zipped files, documents, emails, etc. It can recover data from USB flash drives, SD cards, MP3 players, external hard disks, and numerous other external sources (apart from the system’s internal drive). No prior technical experience is needed to use Recoverit. Simply follow a simple click-through process to get your data back. Photos of formats like JPG, PNG, BMP, TIFF, RAW, CRW, etc. 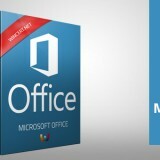 Numerous other formats like PDF, DOC, PPT, CSV, HTML, PST, ZIP, RAR, etc. 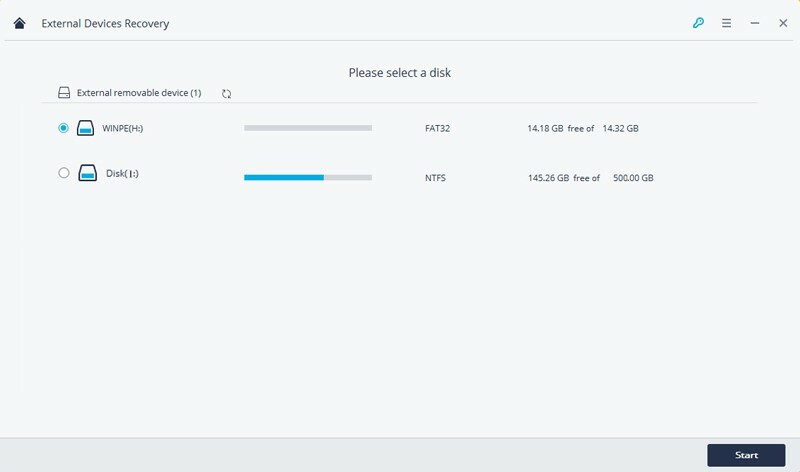 How to Recover Data from USB Drive with Recoverit? 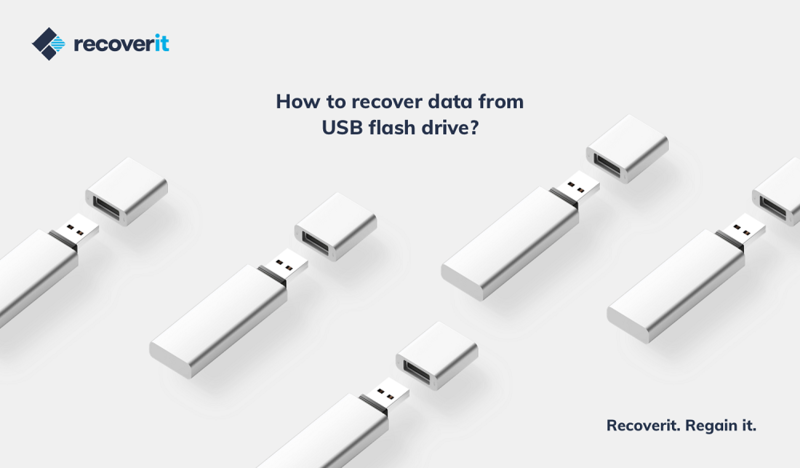 As you can see, no matter what the condition is – Recoverit Data Recovery can be used to get back your lost data from a USB drive. Firstly, you need to visit its website and download it on your Windows or Mac. There are free and different other premium versions of the tool that you can buy. 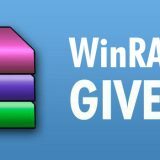 Once you have the tool and the USB drive ready, follow these steps to recover files from the USB drive. 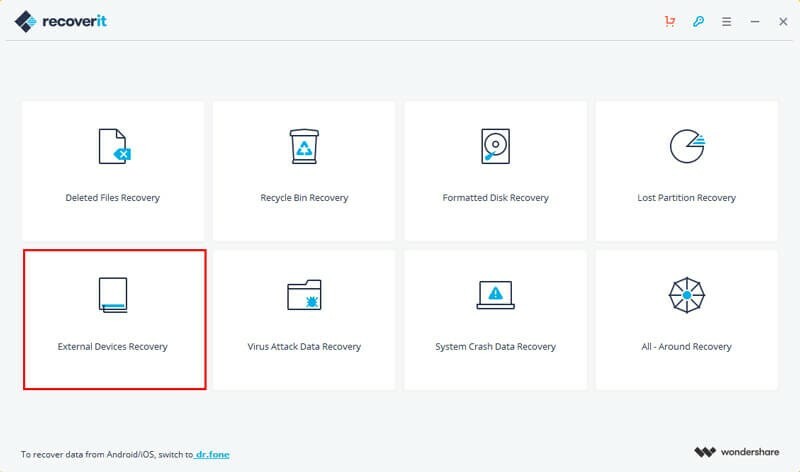 To start with, launch the Recoverit data recovery application on your computer and from its home, click on the “External Device Recovery” module. Also, you can connect your USB drive to the system. When the application would ask you what kind of external media you wish to scan, select USB/Flash drive from the given options. Once your USB drive has been detected, you can proceed. In the following window, select the location (USB drive) where you wish to perform data recovery. 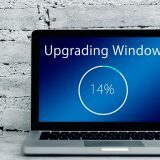 Be patient as the application would start scanning the connected USB drive and look for any lost or inaccessible content. 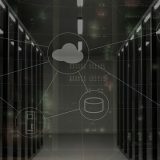 When the data extraction process is completed, you will be notified. You can just preview the collected content on the interface, select the files of your choice, and save them. Click on the “Recover” button to retrieve them to a secure location. By following these simple steps, you can easily recover files from the USB drive or any other source. 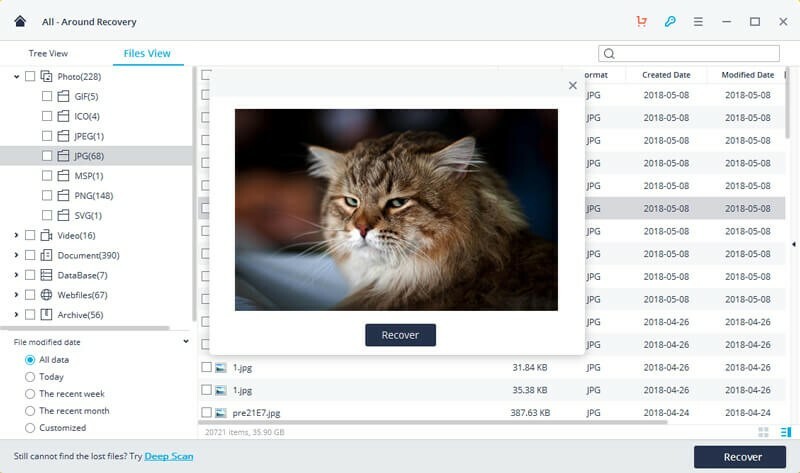 Also, if you are not satisfied with the basic scan, then you can perform a deep scan as well by clicking on the “All-around Recovery” button. This will yield more extensive results and will let you get back all kinds of lost content from your USB drive.